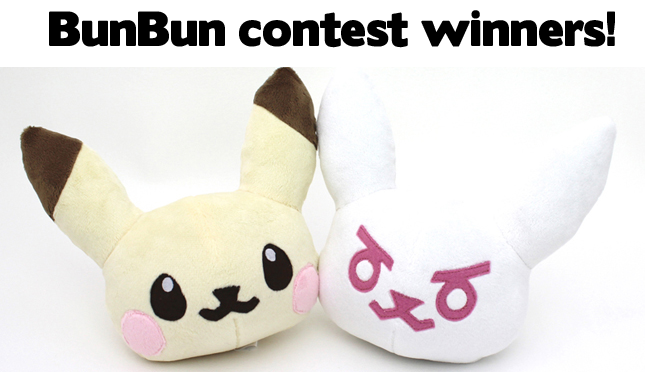 You are here: Home / sewing contest / BunBun plush contest winners! This contest has ended, but the pattern is still available! Get the free pattern by signing up for my email list at the top of the site. ~*~*~*~*~PRIZES~*~*~*~*~ from my Etsy plushie pattern shop! I really like that Sammy made her own embroidery patterns and full body sewing patterns, and spent careful time on small details and clean lines :) The end result is cute and professional! 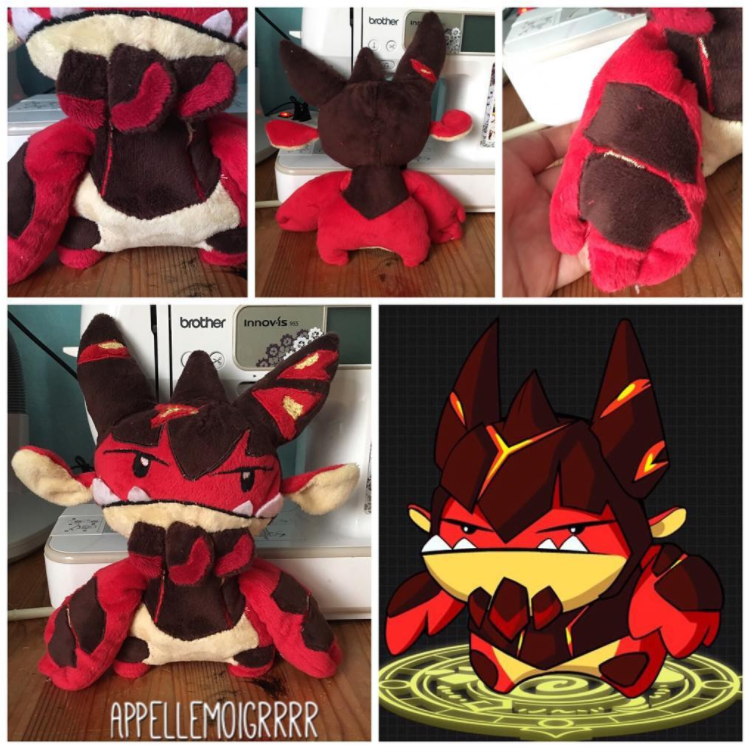 The patterns that appellemoigrrrr added are super crazy, and the end result is really cute and derpy! 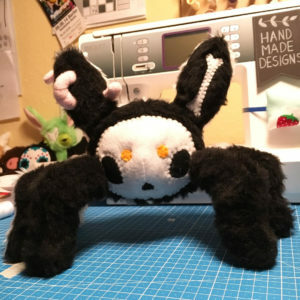 Silberknoepfchen has joined my contest with yet another insanely creative character design – the front half of her bunny spider is white, cute, and innocent – and the back half is dark and spooky skeleton-y! I love the creativity of the character design in this, and all the different types of fabrics used! Some of these are -not- easy to sew with. HONORABLE MENTION: ALL ENTRIES! These were all fantastic, I love them all! 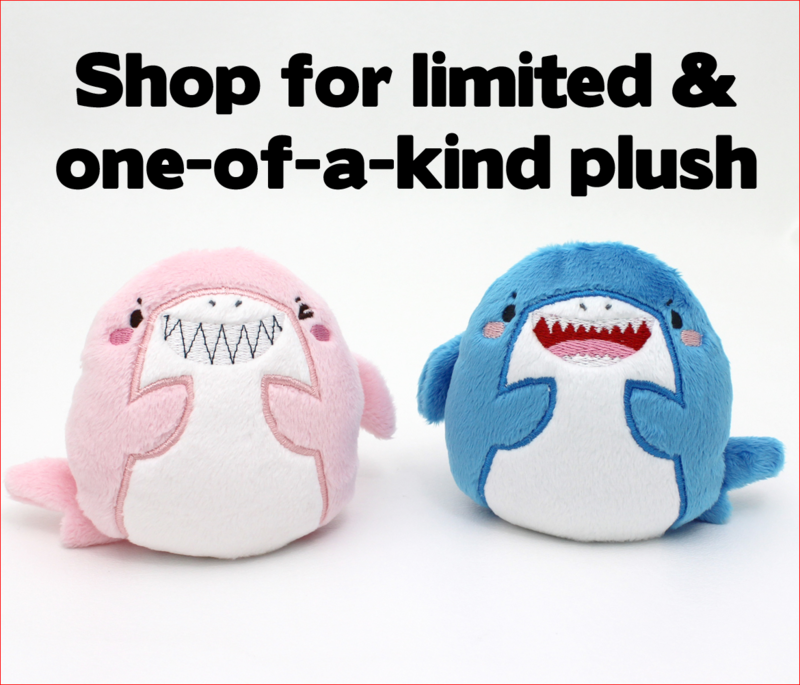 Really cute character design and embroidery! Very sweet, love the big eyes! At it again! This one is for teacuplion.com contest #TeacupLionContest. 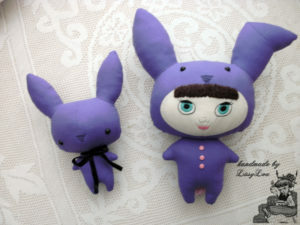 Meet Little Totoro.Strictly fan art from the movie "My Neighbor Totoro"
Gorgeous attention to detail with the hand-embroidered doll eyes and fringe bangs! Cute ear changes and embroidery! Very clean embroidery and sewn tongue! Very unique twist, I love her stylized eyes! Cute to add a little body, it fits well! Pretty color choices and bow! My contribution for teacuplion.com contest #TeacupLionContest. With the cute bunbun pattern!